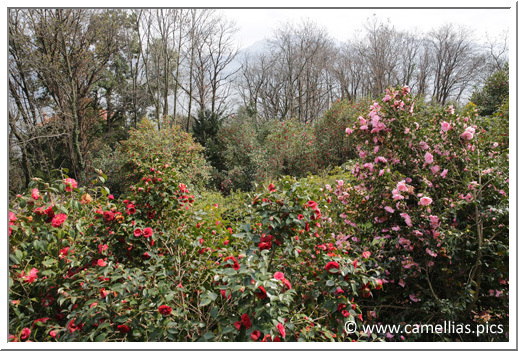 Overlooking the Lake Maggiore, this is a beautiful private garden with 150 varieties of camellias, japonica hybrids, sasanqua and species. 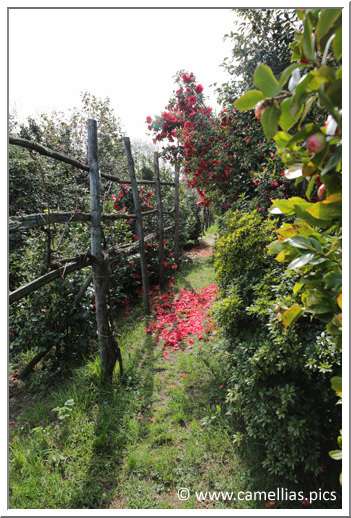 We discovered there some rare Italian varieties. 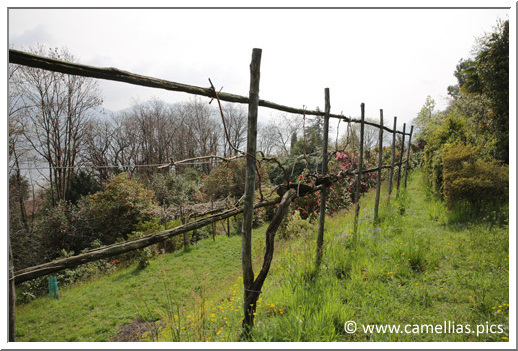 The garden is built on terraces. 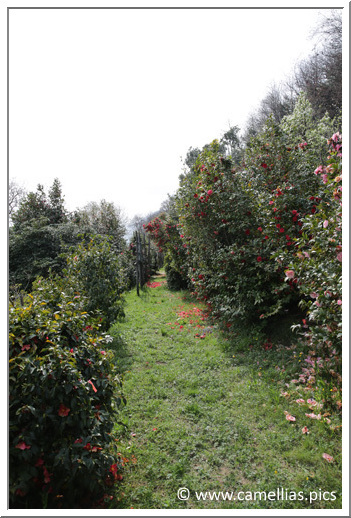 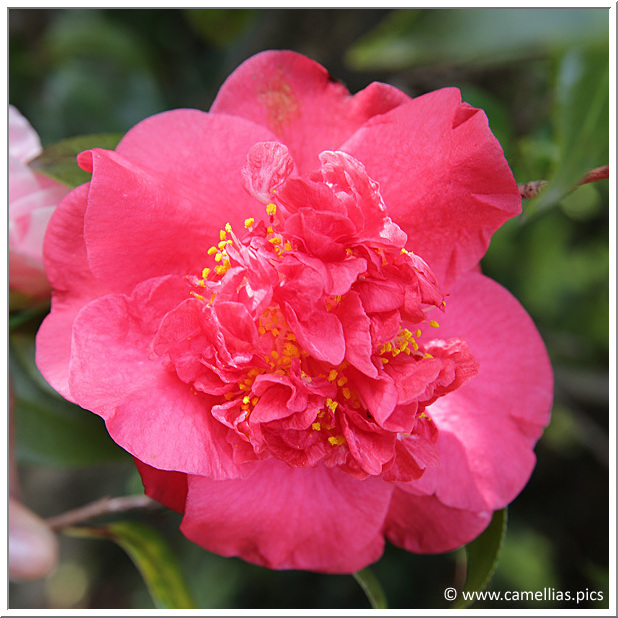 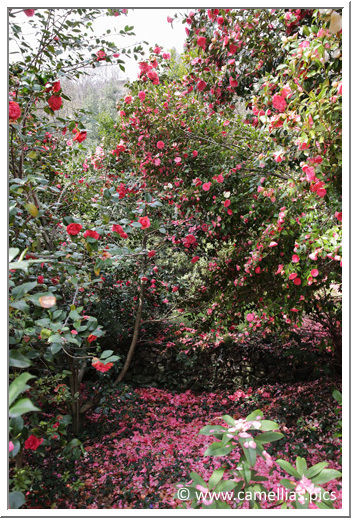 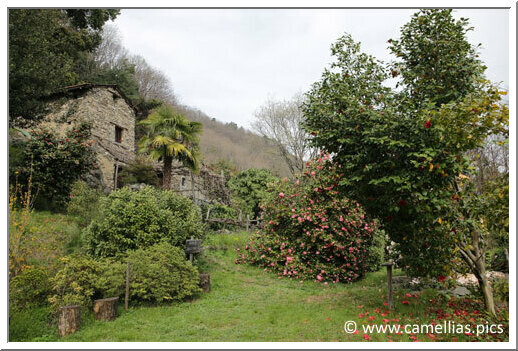 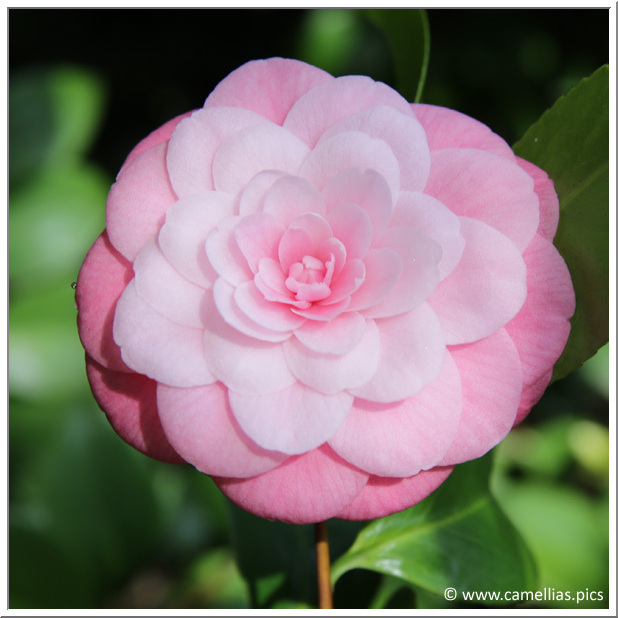 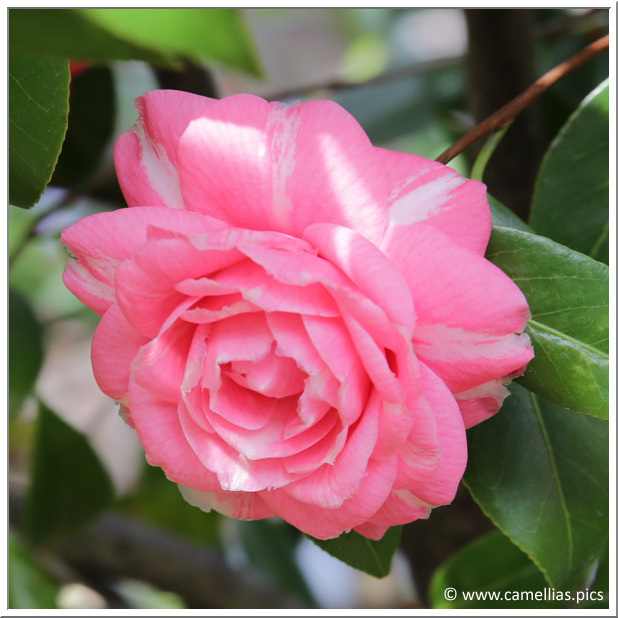 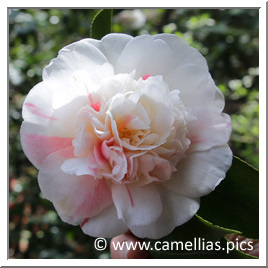 Let's discover this camellia forest. 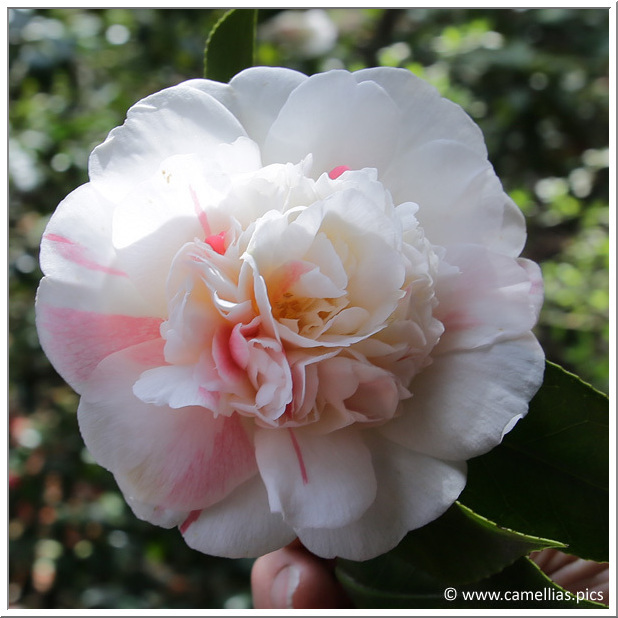 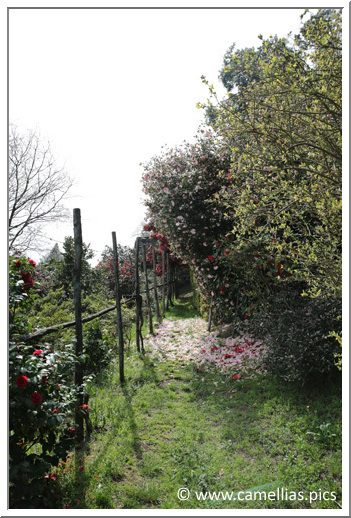 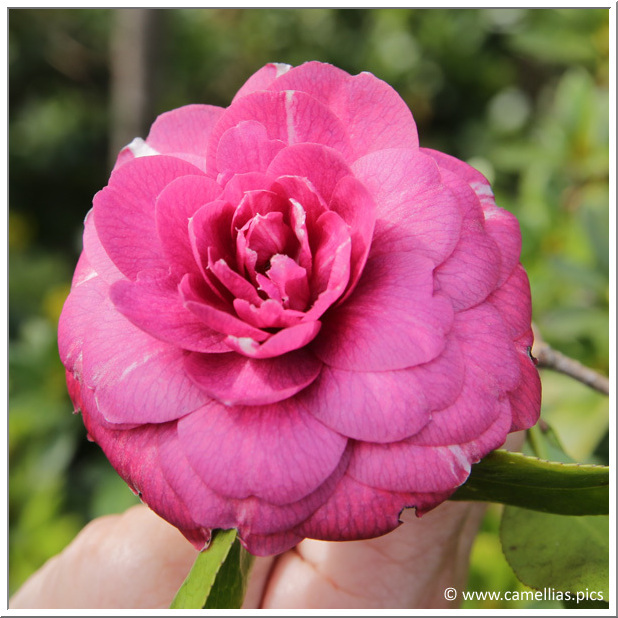 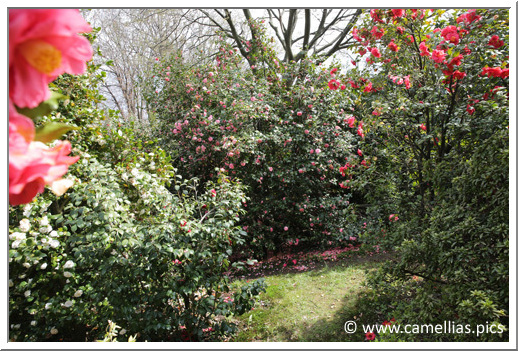 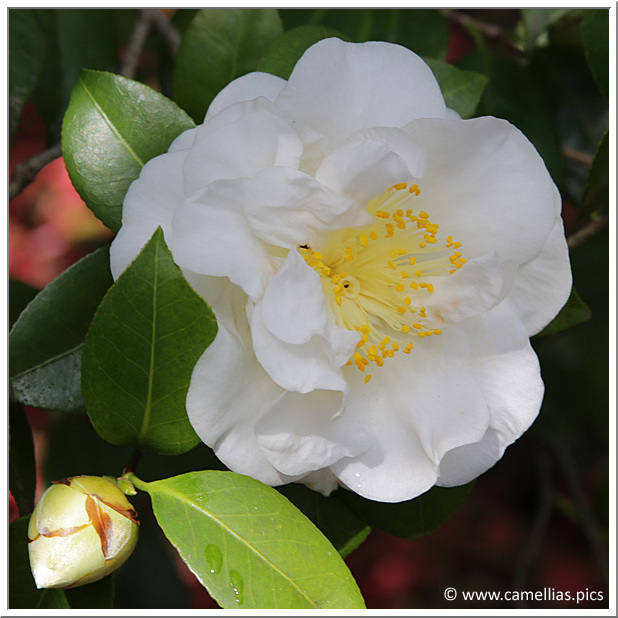 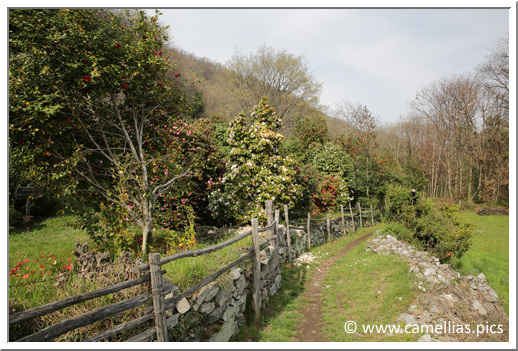 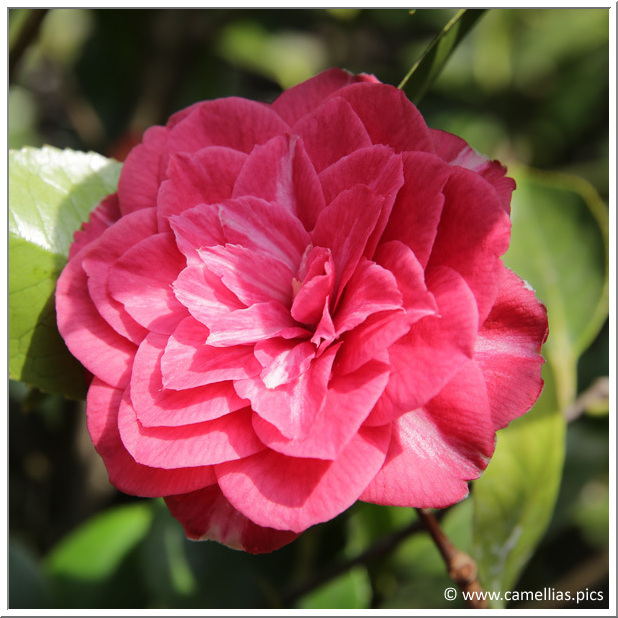 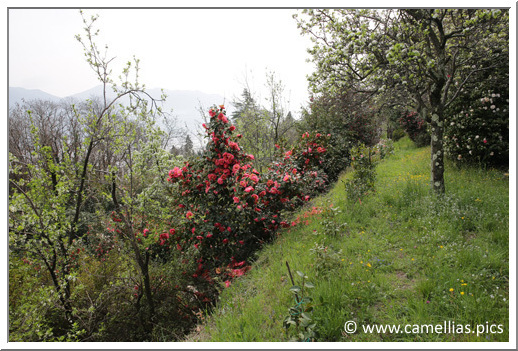 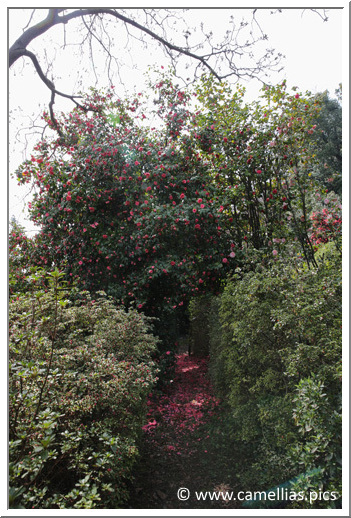 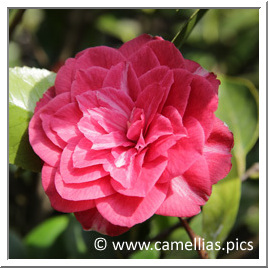 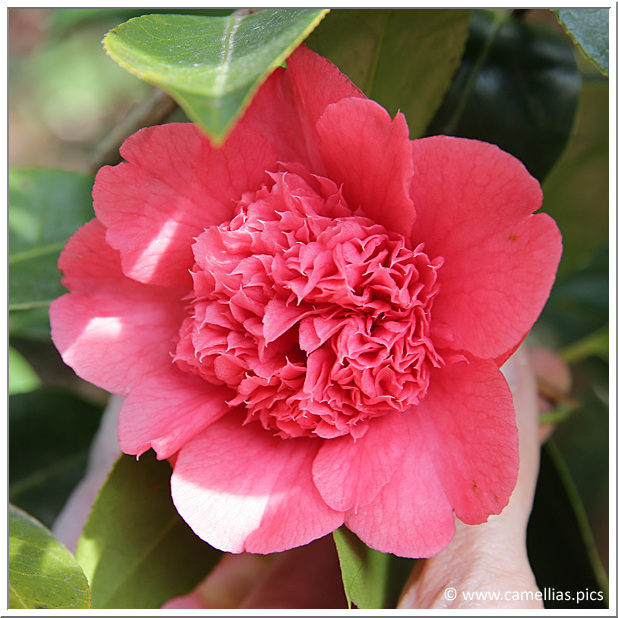 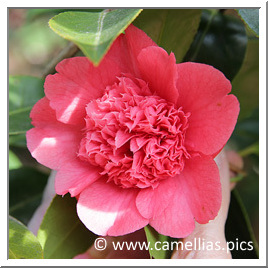 We climb, from terrrace to terrace, to admire the camellias. 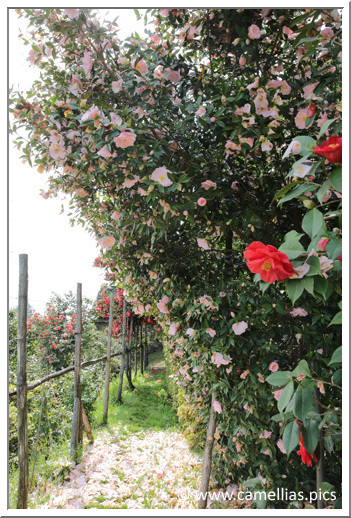 In this page, I only selected Italian cultivars. 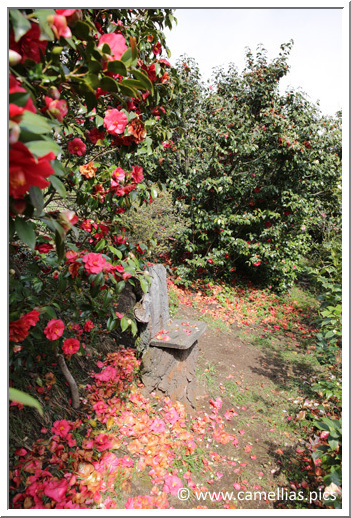 The view on the terraces. 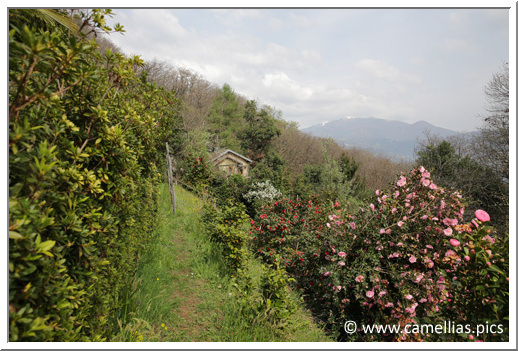 In the backgroung, the Lake Maggiore. 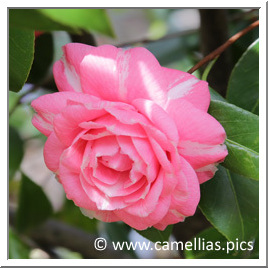 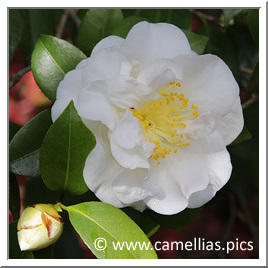 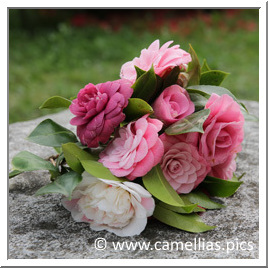 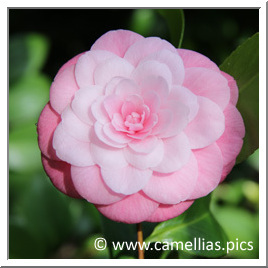 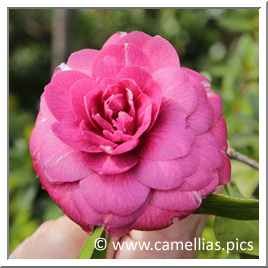 easy to recognize, its rounded petals and its graduated pink constitute its characteristics. 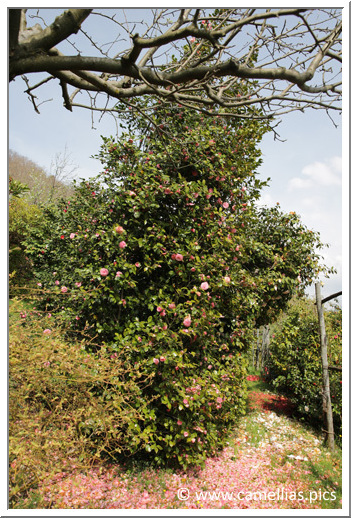 Released by M. Cattolica, from Toscany. 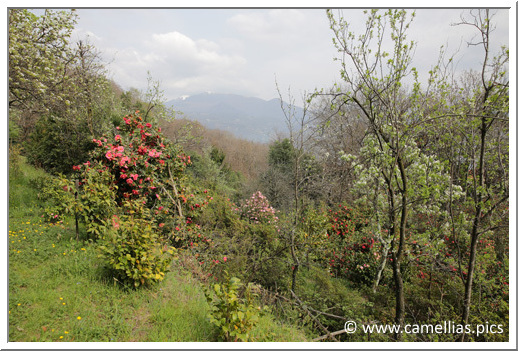 The Lake Maggiore in the backgroung, heading to Switzerland. 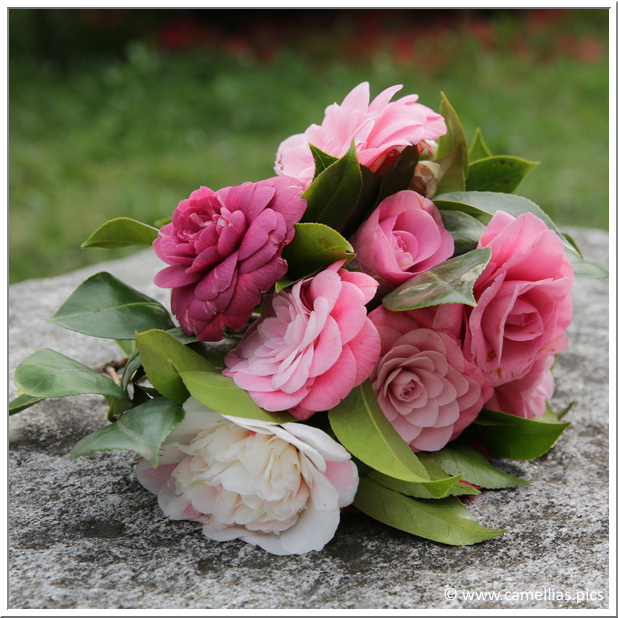 A pretty bouquet gathered throughout the walk.